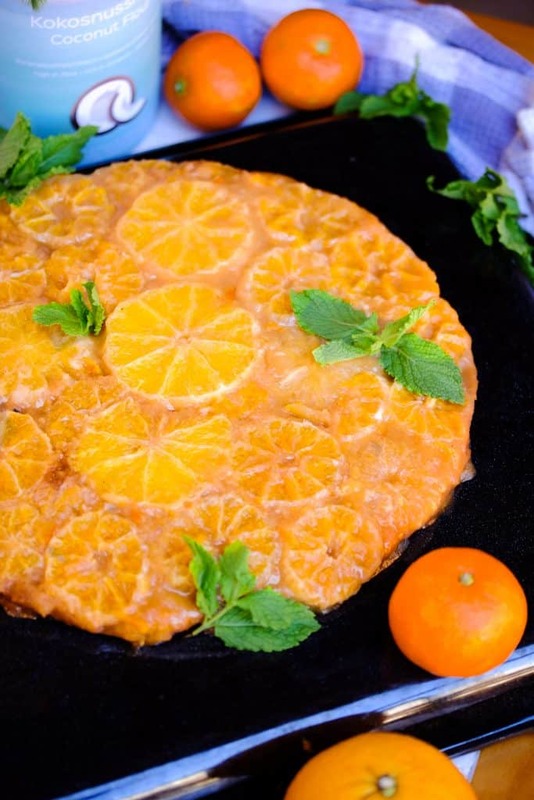 Vegan Upsidedown Orange Cake - " Avant-garde vegan inspired"
Slow life, slow food. Life in Italy is good. The hours in university are little and we have loads of free time. So how do we spent it ? Of course cooking, baking but also continuing our own studies in permaculture. This time I got so excited on a recipe of one of my biggest inspirations @avantgardevegan. 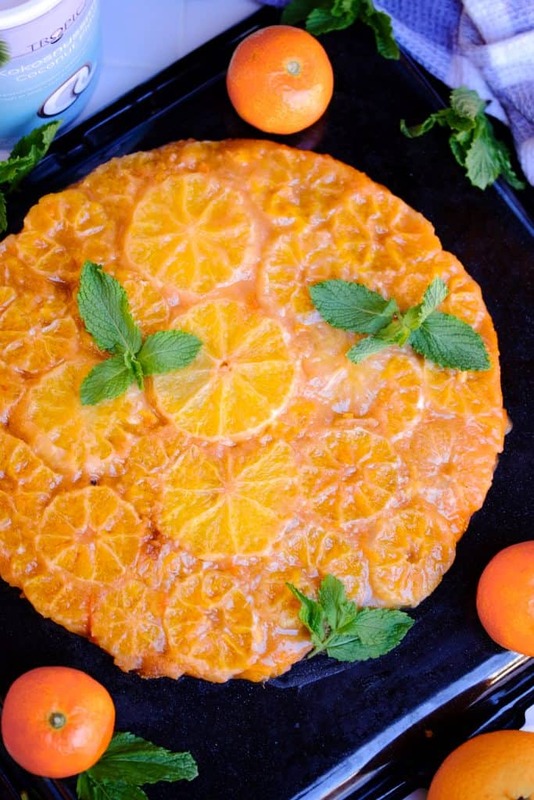 He made this incredible Upside down Mandarine cake and I had to try it out. 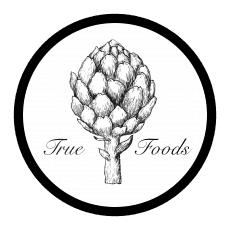 We still had some super fine coconut flour by @tropicai_cocoupyourday (find our brand analysis on them here). So it is actually a upside down orange coconut cake a vegan of course. I made the major mistake of letting the cake cool with the door of the oven being closed. This resulted in a very moist cake, which was actually also really delicious. Anyway if your let it cool with the door of the oven opened, you will get a luscious, fluffy, fruity autumn cake which looks super beautiful as well. Preheat the oven to 180°C. Take a round cake tin of around 25cm diameters. Start with greasing the baking tray with the magarine and sprinkle it with the cast sugar. Now start peeling the oranges and mandarines and cut the mandarines into three, the orange into 4 slices. Place them in the tin. close the holes with halfs or pieces of the mandarine so there will be now gaps. Now mix all wet ingredients in a big bowl. Add the dry ingredients and give it a stir so everything is combined. Do not overmix ! Little lumps are okay. Now add the cake mixture on top of the citrus. Bake this for around 35 minutes. Take out and let cool for around 15 minutes. If wanted – turn around the cake tin and let the cake slide on to a plate. Warm some orange jam with 1 tbsp of water in a pot an glaze the cake with it. Serve with dark chocolate sprinkles.